The dream of Robin Uthappa is to make a place in Team India through his performance in this tournament. 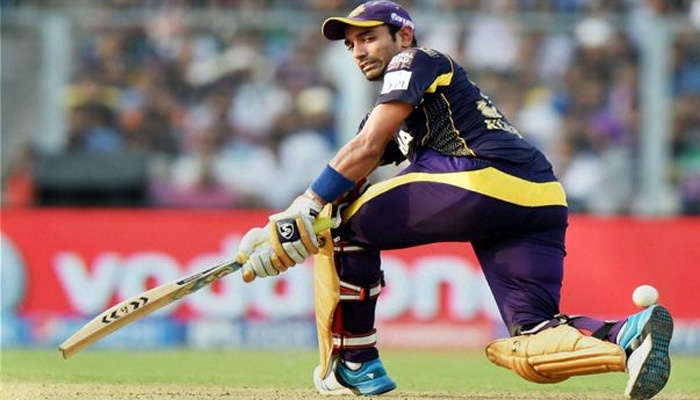 Robin Uthappa is performing well for the Kolkata Knight Riders team in the Indian Premier League (IPL). Uthappa became the Man of the match by performing well against Rising Pune Supergiant on Wednesday. In this match which was played at the Maharashtra Cricket Association Stadium, Uthappa scored an 87-runs against Steve Smith’s team Rising Pune Supergiant. In a statement to the website ‘iplt20.com’, Uthappa said that his dream is to play for the Indian team once again. Uthappa said, “It is important to perform well on a regular basis and I am doing that here. My dream is to play for Team India once again. I also want to represent the country in Test matches.” Although Uthappa admitted that it is a bit difficult to think so further, you have to perform well by staying in the present. Uthappa said, “I have always been mentally strong and I have full faith in my work. I am really confident and enjoying my work. Mahendra Singh Dhoni has made an example for the wicketkeepers of India and I am trying to achieve it gradually.